City Circus Hostel is an alternative travellers space for the restless voyager, the escape artist, the life acrobat. “Acrobat” literally means “a person that lives on the edge” and that is the idea of this circus: to dwell in the surreal, to embrace the weird, to explore with freedom. So whether you’re running away from something (we hope it’s not the law) or running towards something on your adventure, City Circus Athens Hostel is the ideal spot to rest your wandering feet and dreamy head. The two buildings that house City Circus Hostel and Zampanó restaurant are dated from the late 19th century and have been declared historical monuments. Being regarded as the epitome of turn-of-the-century Greek architecture, they are considered a cultural cornerstone of the Psyrri area. The buildings remained largely unused from 1970 until 2011 when the City Circus team discovered them in their search for the ideal location. It was a perfect match. 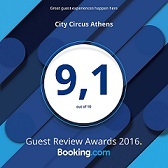 After a whole year of preparations and internal redesign work, City Circus opened its doors in the summer of 2012 and quickly became one of the highest rated hostels in Europe. We have a variety of room types, ranging from 4, 6 or 8-bed dormitories to doubles/twins or quadruple privates. Grab a cup of coffee and take your time to explore our galleries and pick the one that suits you best. Then, head on to our booking page to check for availability. Explore our options of dormitory rooms, for 4, 6 or 8 guests. All equipped with air-conditioning, private bathrooms, wooden bunkbeds and super-comfy mattresses. If you feel like having some moments of privacy, we have a variety of double or twin rooms and one quadruple, to suit all needs, fitted with original vintage furniture and artwork. City Circus Athens Hostel is in the heart of Athens, in the edgy and hip Psirri neighborhood, fast becoming the center of Athens’ Ghetto Tourism district. We’re beside numerous eateries and watering holes and a short walk or bike ride from any sites in Athens. If you’re not the self-motored type, the Metro and Train are only 300 meters away. Seat back and watch this carousel of pictures taking you to the most characteristics spots of Athens. Whether you want to take a whole day trip or feel like chilling in our common area, City Circus will certainly keep you busy and happy during your stay. Our guests are able to join in on daily activities in the hostel and out in the city . The world of wine is amazing and we invite you to join us in this tasting journey of Greek wineries and producers. Our chef, Chryssa takes care of the food part of the evening making some amazing bites. Get to know your fellow travellers and share your stories over a free glass of wine and our delicious bruschetta! Tsipouro is relatively strong but at the same time quite aromatic liquor that is distilled from the skin of grapes. You get to try five different kinds of Tsipouro, each distilled from different grapes' variety and coming from different regions around Greece. Make your reservation through our web-site and enjoy our magnificent breakfast for free !! Share City Circus with your friends! Our night guard. His job is tough and unenviable. Being there all night trying to silence those who decide to wake up the rest of the hostel, he has developed quite unique skills and abilities. He is also the one who’ll find you a specialized dentist in the middle of the night or come to wake you up if you sleep in. He is a DJ and music fan, passionate CD collector and one of the few Greeks who actually visit archaeological sites with zest and enthusiasm. The social beast of the hostel. He knows where exactly to find a good party and which club to visit. His experiences with night life in Athens are worth gold! He loves to laugh and makes you laugh too with his funny remarks and easy jokes. He is also the one who’s sneaking around with his camera capturing snapshots of the hostel life. He, as many other Greeks, loves to take things easy and whenever he can he escapes to the tranquillity of Greek seas and islands. The power of tranquility and knowledge in person. You can ask anything and she will come up with the best suggestion for you. Having travelled a lot on her own, Lena knows exactly what makes a traveller feel comfortable, what is worth visiting and the best way to make your visit an once in a lifetime experience. Just trust our smiling girl! Few years ago she came to a Greek island for vacation and four years later here she is again. Kamila is the newest member of our Circus crew. 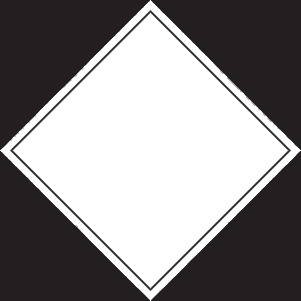 Nevertheless do not hesitate to ask her anything, she is considered to be a local already. She can guide you through bars, clubs and restaurants. She loves winter sports, travelling and reading books. Last but not least, she is a huge fan of Panathinaikos!